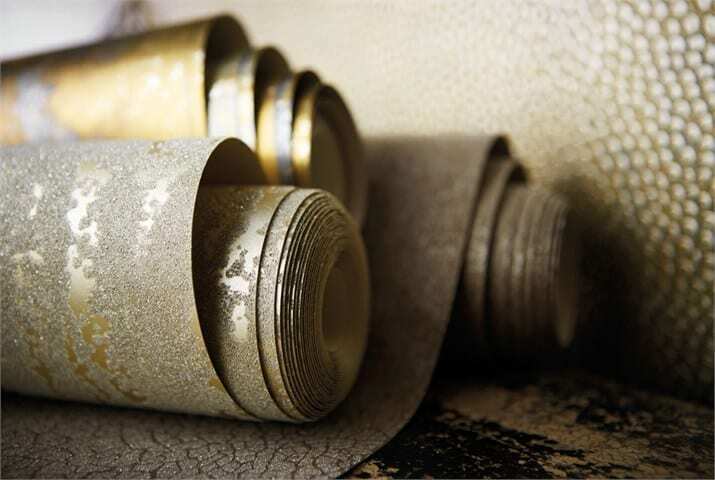 This week’s Wallpaper Wednesday brings you the wonderful metallic design, Ellipse from Harlequin. Part of the brand new Anthology 03 collection, Elipse in Copper and Graphite has to be my favourite of all the colourways. 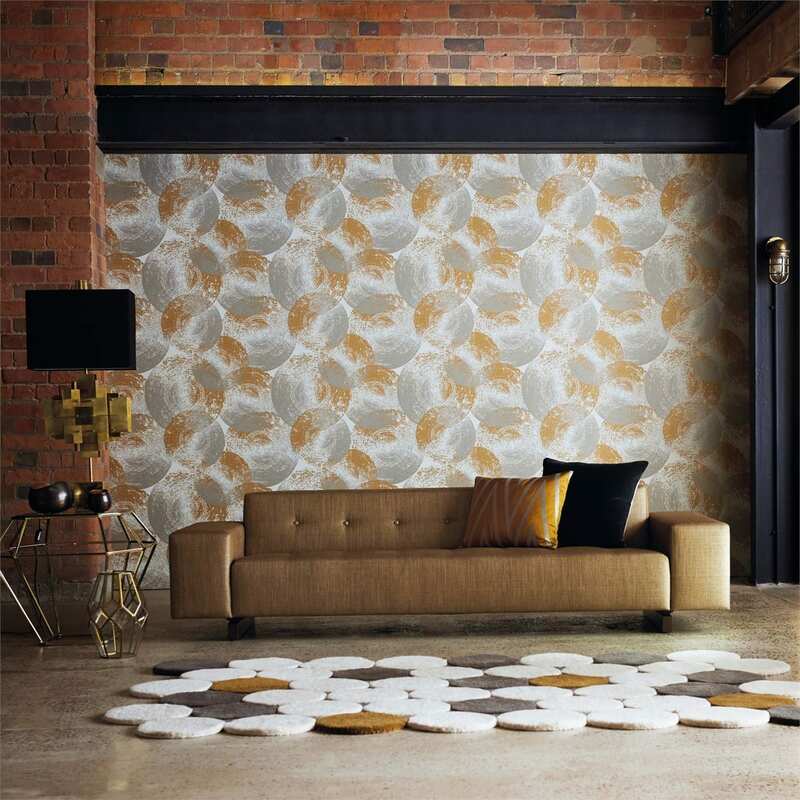 Of course, we’re making the most of the metallic trend, but whilst many wallpaper prints are bright, patterned and flowery, this one has much more of a rock and roll feel, and I like that. I think, many people believe that wallpaper adds something twee and colourful to a room, but it’s not always the case, and a design like Elipse shows exactly that. It creates a perfect backdrop to a contemporary interior scheme, and looks particularly good teamed with rich fabrics and warm colours. The complete Anthology 03 collection is worth a look for its urban, metallic theme, especially if you’re looking for something subtle yet sparkly for your home. Check out the full collection over on the Harlequin website. With regards to the price, I’ve had a quick look around but can’t find anything obvious at the moment. Once I find out more, I’ll update the post and let you know. I love the first image of wallpaper. It really fits on my living room. Thanks for posting this. Great! Love this collection. 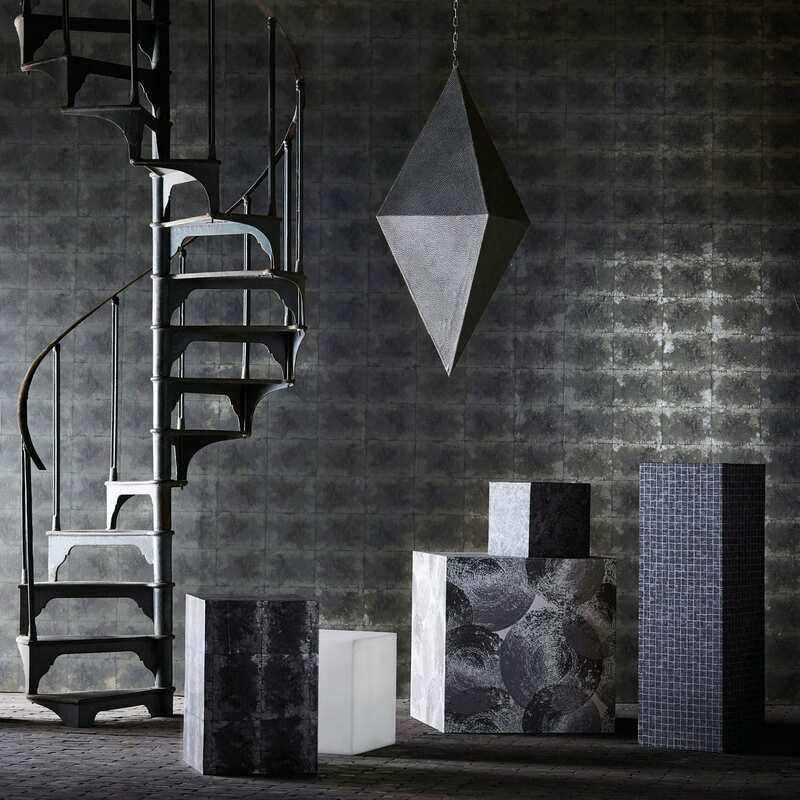 The last one reminds me little bit of Zoffany Lustre metallic tile wallpaper! Love the wallpaper in image 3, its subtle yet still makes a great impact. I had a footstool from decur.co.uk upholstered in Harlequins fabric and months later everyone who comes to my home still raves about it. There’s just something about Harlequin that makes it one of the best front runners in the industry.